Cook the onions in the butter with some salt until very, very browned. 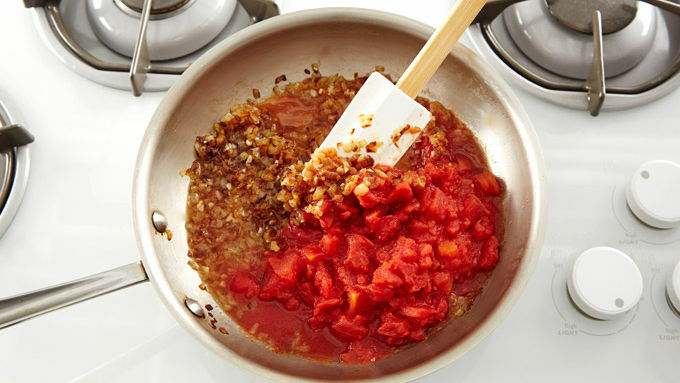 Add the can of tomatoes with the juices. Simmer and cook about 15 minutes. Add the ketchup to the sauce and blend until smooth. 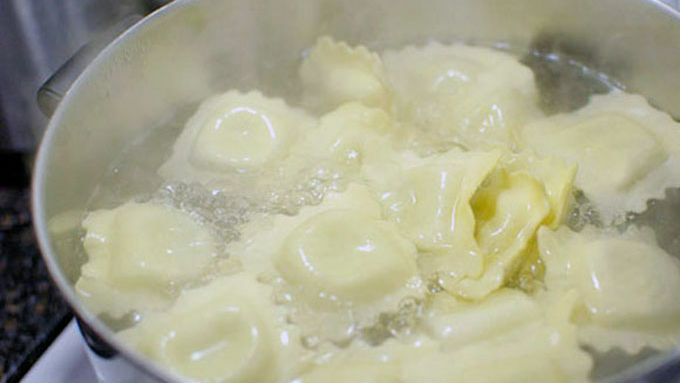 Meanwhile, boil your ravioli according to package instructions. 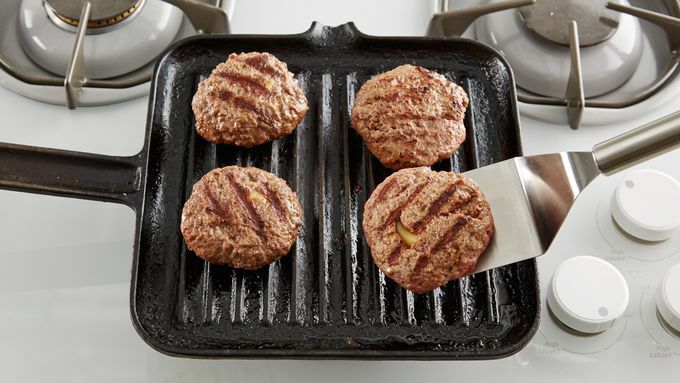 To make the burgers, grab a handful of beef and press it onto a plate until very thin. 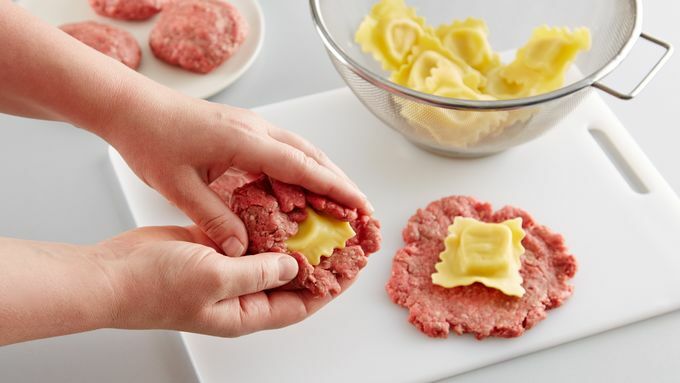 Put one of the ravioli on the beef and wrap the beef around it. Try and press out any air but be gentle and careful not to break the ravioli. There will be rips, but just work to fill them in and remove any excess beef from the sides of the burger. Don't worry about getting it perfect. Grill the burgers until browned and cooked through. Top with cheese and serve on a bun with some of the sauce. Stuffed burgers are always a popular summertime treat, especially if the filling is some sort of ozzy cheese. 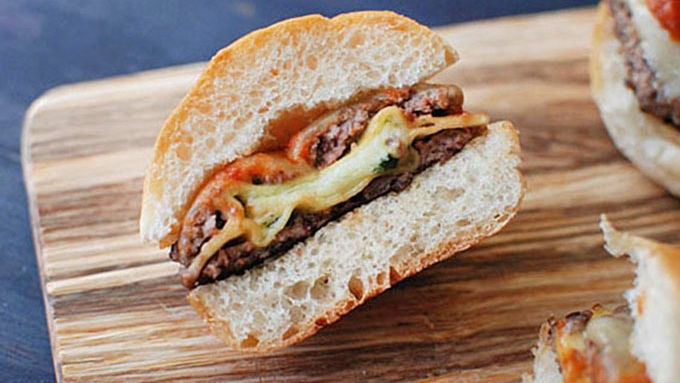 But filling a bunch of burgers with a cheese mixture can get tedious, especially if you are talking about mini burgers! Using a nice cheese-filled ravioli really fixes this issue. You can get these guys assembled in 15 minutes or so. 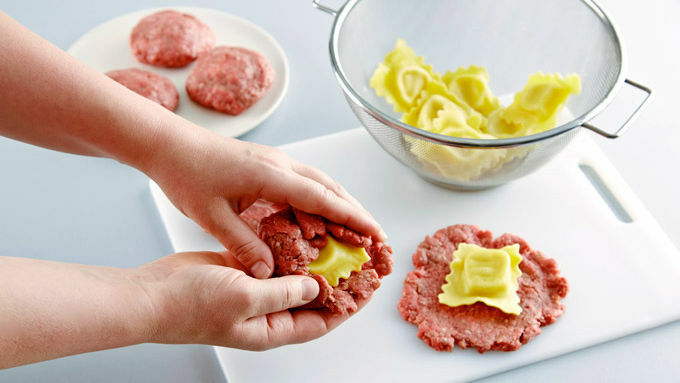 These ravioli-stuffed sliders are a fun and unique twist on the cheese-stuffed burger that everyone is sure to love! 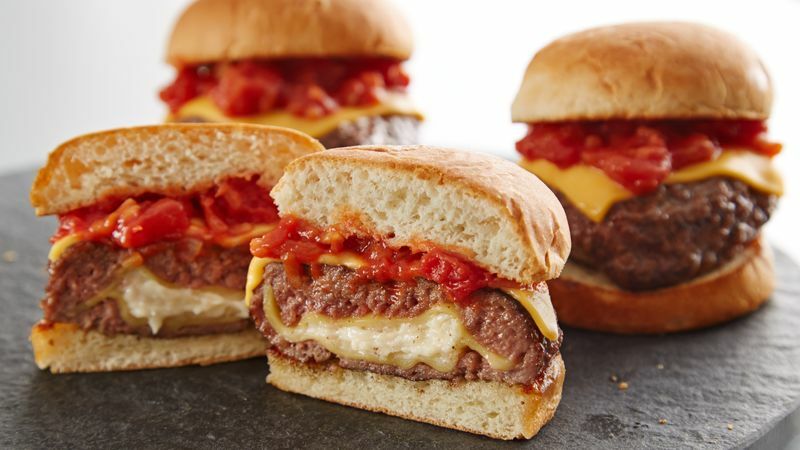 The sauce on these burgers is a combination of a hearty tomato sauce and ketchup, with some nice caramelized onion flavor in there. Two onions may seem like a lot, but we are going to cook them way down. When you take a bite, all the cheese comes oozing out from the center of the burger! As good as the burgers are though, the caramelized onion ketchup-sauce is a real unsung hero in this recipe.